GPAC, besides being an ERP (Enterprising Resources Planning) that provides control and planning to all types of industry, can also provide an efficient integrated management in all the stages of the productive process, within each company where it is implemented. The GPAC is a productive control system that can be used as a tool that the more you use the greater your benefit to the institution. Most of the technologies implemented in ERP are capable of representing the products or services produced by an organization. However, it is rare for these technologies to represent the processes for obtaining these products or services. Even those who do, do so at the costs of excessive hours of labor, thus making the final products/services more expensive. However, the technology implemented in GPAC is DYP Technology, which was developed with the following objective: if we can model the processes required to execute all our products or services, then we will be able to control the execution of these products or services in full. Thus, based on the Productive/Operacional Process Modeling Technology and the fact that the GPAC environment has been designed essentially to be practical and functional, GPAC is an ERP that guarantees integration and traceability, besides its ample configuration capacity. 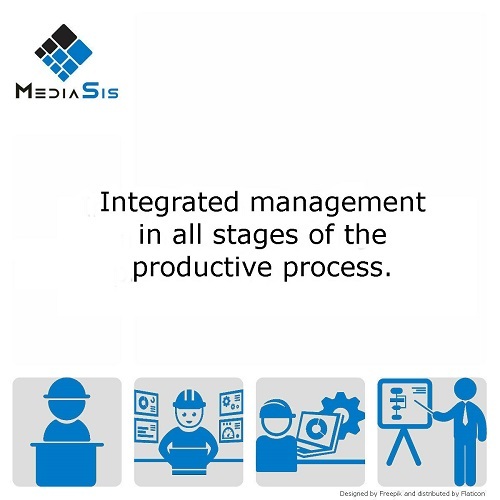 The integration and traceability of the informations in all the stages of the operational or productive process guarantees an optimized organization in the floor of the factory and, at the same time, the provision of data verified to the managers. In this way, it makes feasible the calculation of industrial costs at all stages of the production process. The wide configuration and adaptation capacity of the customer’ business model makes GPAC a Technological Tool for modeling productive processes capable of creating and integrated management of the budget for the shipment.